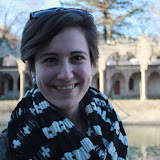 Hi to everyone here for the blog hop! First off, I should say that the sharing aspect of the Get Messy group has been so much fun. It's like the grown-up, Internet equivalent of going to your mom or dad with a scribbled drawing and saying "Look what I made!" My boyfriend is doubtlessly appreciative that he is no longer the only one filling that role. And not only do I love having people to show my work to, I love that the Get Messy group is making me make the work in the first place. 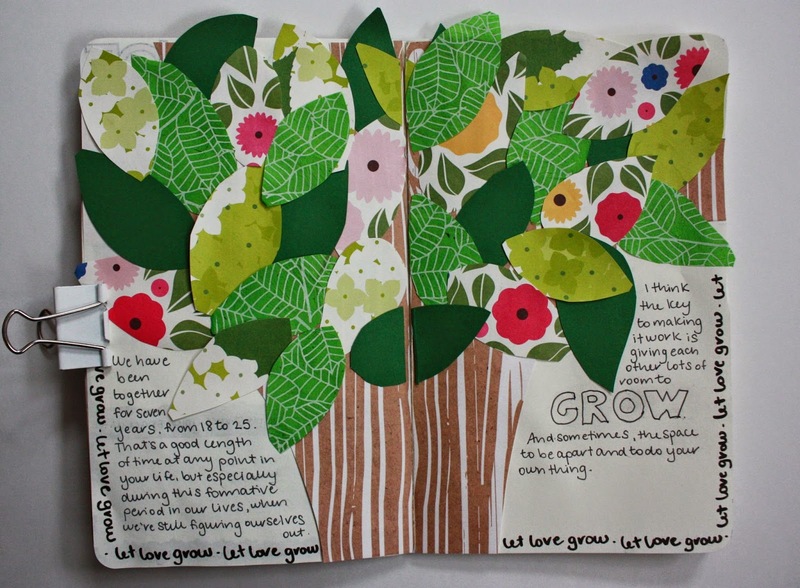 This is the first time I've really done any art journaling and I'm so glad I jumped in. I'd been a bit intimidated - the art journals I'd seen previously all involved lots of mixed media and gesso (what is gesso?!) and technical skill. 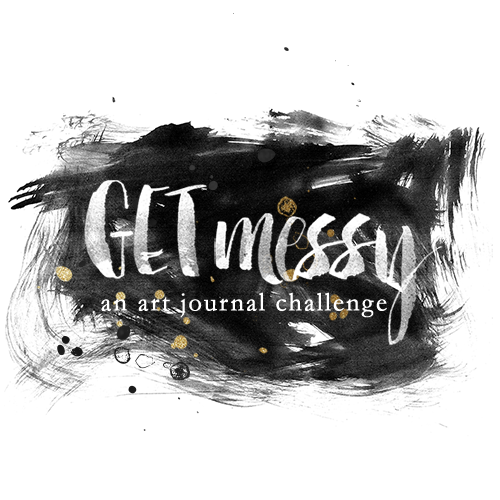 But seeing the diverse range of styles and techniques from the Get Messy group has been inspiring and empowering. Before this I mainly made minibooks, but I tended to do it when I had a big chunk of time to dive in and do something involved. I love that the group has me creating on a regular basis as part of my routine. For the purpose of this post, I'm including everything I made over the course of the Season of Love. Like with children, it's hard to pick favorites. And also like with children, I will never tell which my real favorites are. ;) The original posts, with more thoughts on each of these spreads, are linked. 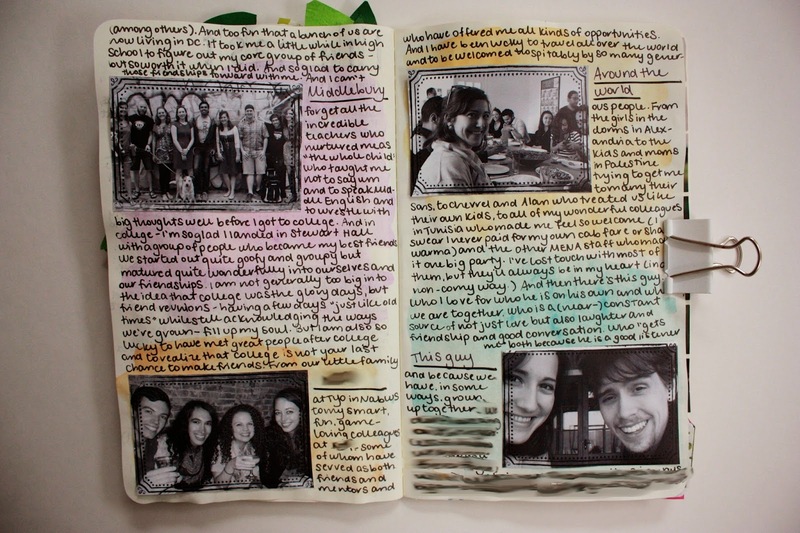 The first week is when I jumped in, put something on the page, and saw where it would take me. And realized this was going to be a lot less difficult and I lot more fun than I had expected. I love how this captures, in a few words and photos, what my (sometimes mundane, sometimes romantic) domestic life looks like at the moment. This one wins the award for best riff on a children's arts & crafts project - super fun putting a paper tree together. This is for sure one of my favorites. I love that it's bright and graphic and fun - and I know I'll be glad one day that I captured all the silly things I love at 25. This was the first time I tried using watercolor on a page and realized it wouldn't be the end of the world if it bled and wrinkled a bit. Aka I got messy. The journaling is pretty sprawling but it made my heart fill up to think of all the different people who've mattered to me over the course of my life. 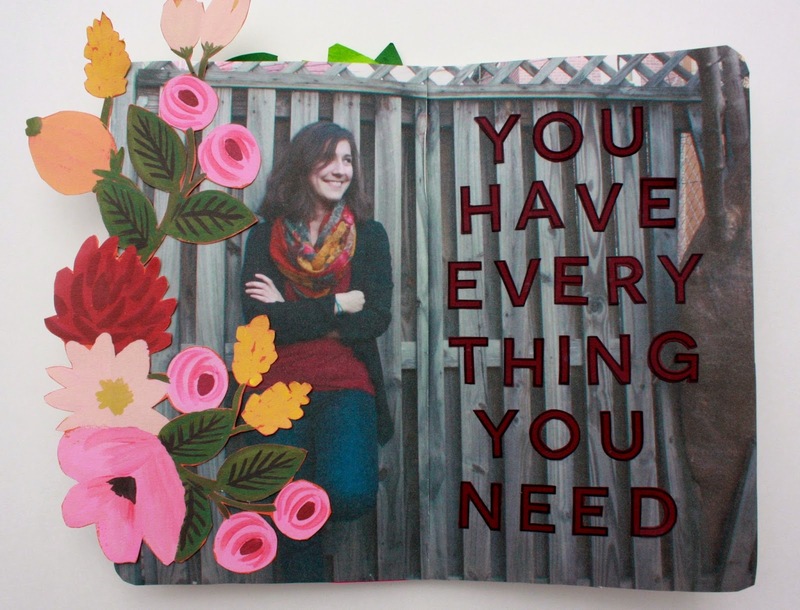 This one is not my favorite design, but probably my favorite message - a love-yourself-first riff on that famous e.e. cummings poem for the public link-up. I think this one may be the most meaningful to me. I loved that in the process of completing this page, I made a new connection about "where I get it from" in terms of expressing love. And I love the simple and graphic design. 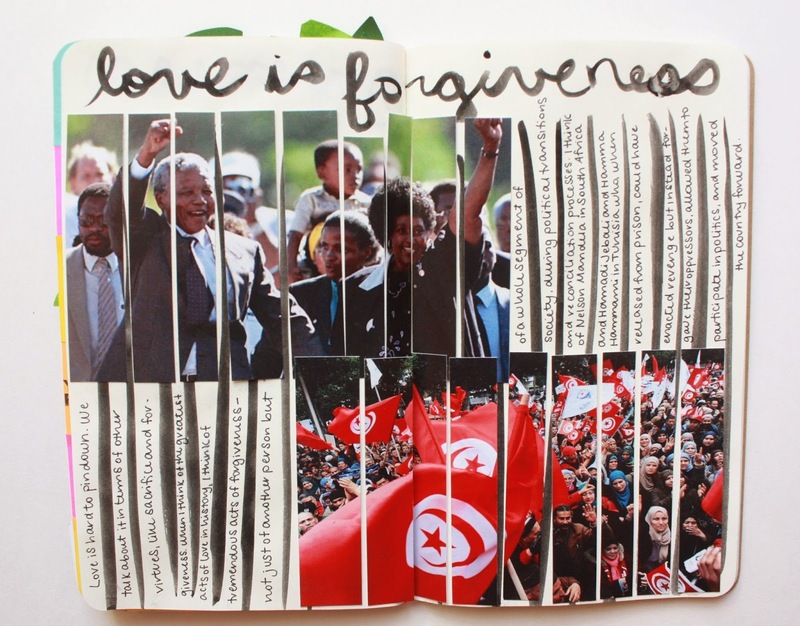 This one is when I realized that politics and career issues are just as worthy topics for art journaling as love and feelings. 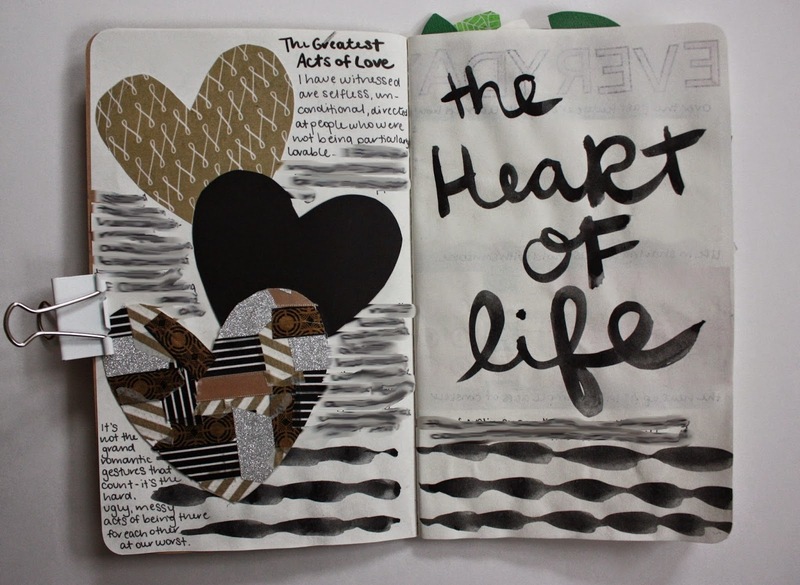 I love books and reading and I can think of a few other pages I'd like to make with quotes from my favorite authors... but for now, I love that the Bachelor, Virginia Woolf, and Raymond Carver could come out to play together in this spread. And finally, this page is all about the magic of the selfie. And selfie-confidence and selfie-possession. Thanks so much! And good eye- those flowers are cut out from an old Rifle Paper catalogue! Hahaha! I can relate to your opening paragraph SO MUCH. My husband is fantastic, but it's really not quite the same talking about these types of things to him as it is with our little group. I'm so glad you jumped in too. You're making beautiful art. Your take on the e e cummings poem is beautiful. Since they aren't my children, I can pick a favourite. That last one. Flowers off the page? Pretty photo? Lovely message? Check check check. Your message came through in my email. :) Thank you! I really like how your incorporate events in your real life and even from a global perspective. 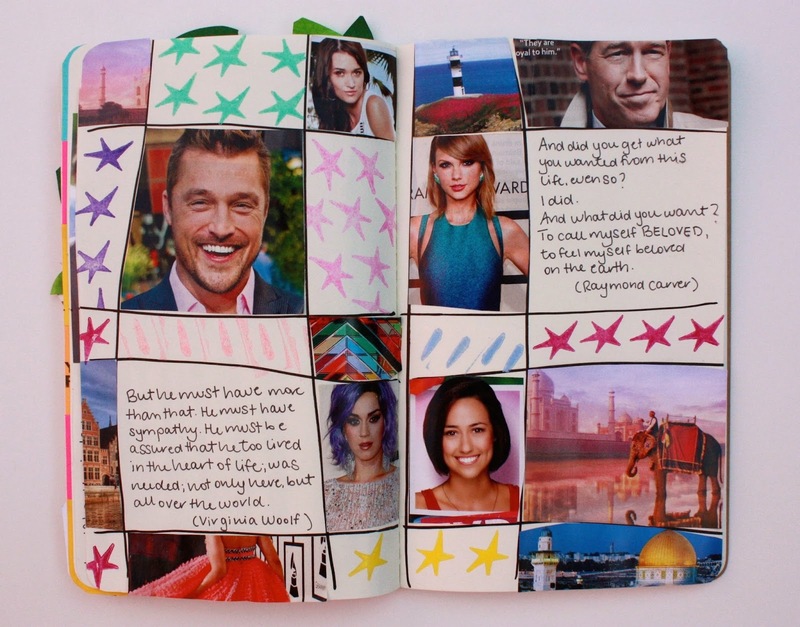 I especially like the page you did with the 25 things you like. Very cool layout! 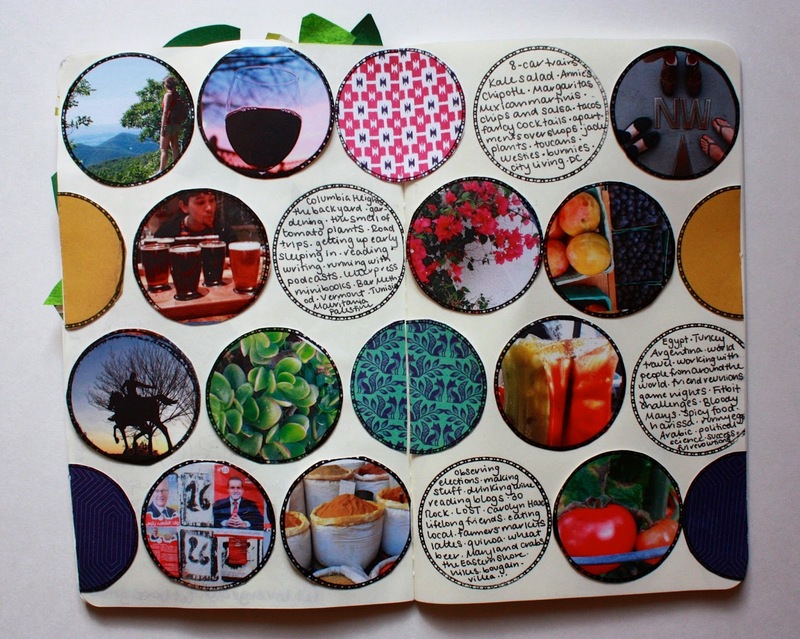 I'm inspired to try to reflect more of my life into my art journal. Agree, this is such a great community to share our work! Thank you, Sara! I've gotten so much inspiration from this community that I'm glad to hear that I'm spreading some as well! So many great pages! I love all of the different approaches you took. Fabulous stuff. Thank you! It's been fun to experiment. So much color and energy coming out of these pages. The forgiveness one, wow. 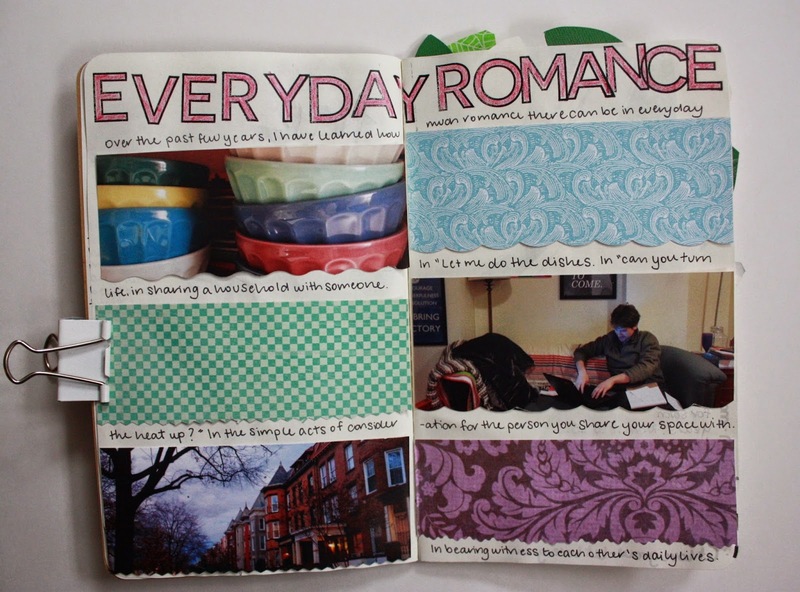 And also the 'everyday romance', love that idea. Glimpses of Love! Thank you, Vanessa! I'm so flattered. Anna, LOL on the boyfriend part in the first paragraph. I think I can sum up your pages with a resounding WOW!!! 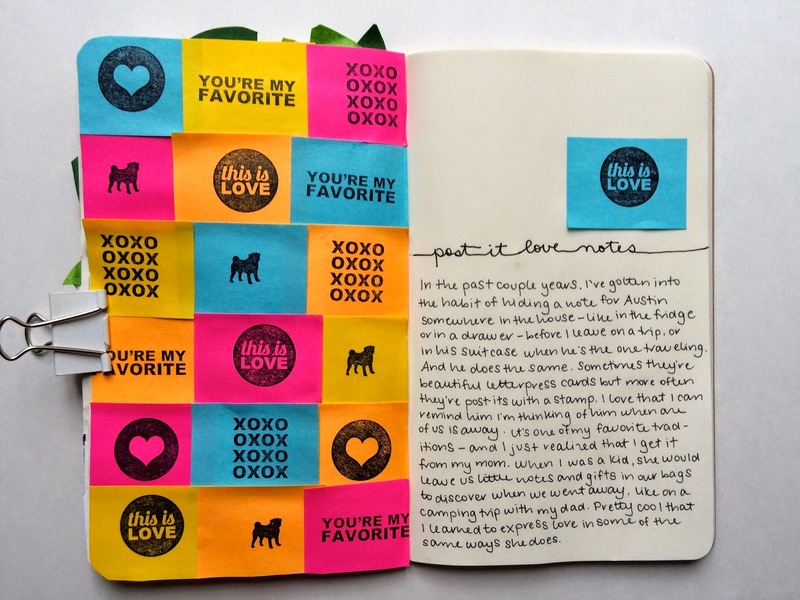 I totally love your style and sense of design! I think you will love gesso, if you venture there. It is very addictive as it opens up a whole new direction and host of techniques. Looking forward to more of your gorgeous pages. TFS! Thanks so much, Cassandra! 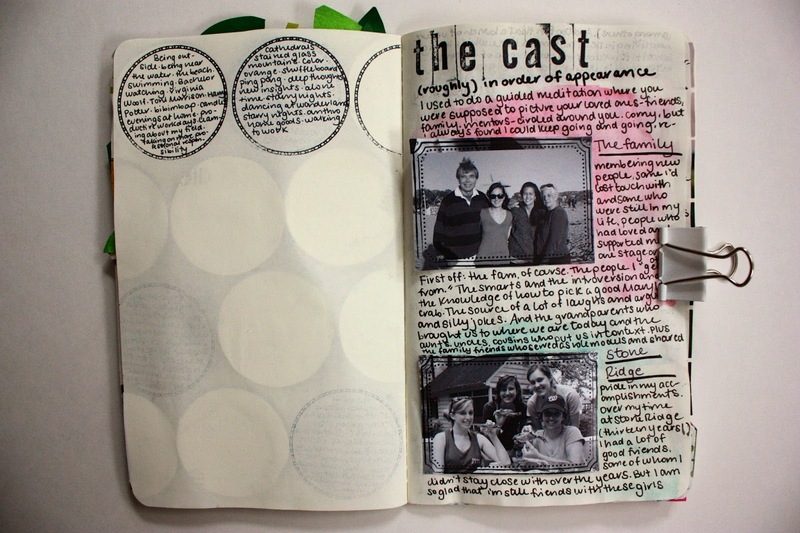 Your pages are definitely inspiring me to break out the gesso!